A common issue that many people have is wondering whether or not an online casino can be trusted. After all, how do we really know that the online casino hasn't rigged the odds substantially in their favor? How can we be sure that they are actually paying out progressive jackpots and not just awarding them to company owners? How can we be sure that their Random Number Generators are legitimate? As with anything else, when deciding which online casino to sign up at, you need to do your research. Don't trust me. Don't trust your friend. Trust yourself. Do your research. Read reviews. Look up the history of the company. My advice, when selecting an online casino, is to choose places that have been in business for at least a decade. An online casino with a terrible reputation isn't going to last. Instead, look to online casinos such as William Hill and Party Casino, as they have all been around for at least a decade. In addition, make sure that you choose a company that is licensed from a reputable jurisdiction such as the United Kingdom or Gibraltar. These jurisdictions will make sure that the company's Random Number Generator is being audited and that the company is paying out a reasonable amount of the total money that they are bringing in. As well, there needs to be a reputable jurisdiction to report complaints to that has a transparent complaint resolution process. 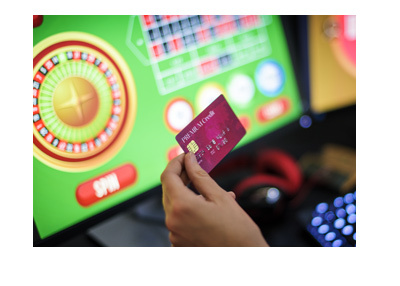 If you are going to choose a new online casino that seems to be offering things that are too good to be true, you are certainly running the risk that things won't be completely above board. On the other hand, the bigger and more established rooms have too much to lose by ripping you off, as many of them are publicly traded companies that have to answer to the jurisdictions that they are licensed in. Anytime you are going to be giving a web site your credit card details, you should make sure that you do your research first. My advice: stick with the well established online casinos and you will be fine. There are online casinos that rip you off, to be sure, but it almost certainly won't be the long established ones that do so.